Ik krijg de Nike free run Trackback/Pingbacks niet verwijderd! . Maar snap het al. JUST DO IT! haha Nice job!!! Suffering is an enormously powerful distraction that tends to draw you deeper into the illusion. It can lead you to forget to make your daily intent to be Love in action, while those involved in conflicts are frequently so distracted by their own suffering and that of loved ones that they find it almost impossible to enter their quiet inner space even for a moment, where they can access the spiritual help they so dearly need. Your intent to send love to those who are suffering is very effective and does help them to experience brief moments of peace despite the intense distractions of their unhappy environment. As you know, the divine energy field in which everything has its eternal existence is composed of Love, so that everything that exists is therefore composed of Love. The limitations that are the characteristics of the illusion are the result of attempting to live without Love. . . separated from It. The power of Love is infinite, and by entering the illusion and attempting to separate yourselves from your divine Source you effectively reduced the power, the life force available to you enormously. It is as though, using electricity as an analogy, all the immense power flowing out of an earth-based electrical power station was available to you, but you chose to reduce it to the level at which it would barely light a lamp. That is why it is in your best interests to wake up. When you do so you will cease to reduce the power level of the Love that flows through you constantly, and without which you would not and could not exist, but will allow It to flow without restriction of any kind, and you will then know yourselves as you truly are: beings of immense influence. . . of immense Light. Awake and fully conscious, you could not even conceive of the way of life that you are experiencing in the illusion. It is truly beyond understanding, and yet you cling to it in fear, unable to conceive of life without it, with many believing that life ends permanently with the laying down of their human bodies. Nothing that God creates dies. Death is an illusory concept. . . merely a move forwards, a progression to a state of being that is way beyond your present severely limited experience of what life means. It is not to be feared. The time at which a human lays down her body is not random. Accidents and illness are experiences on the lifepath that you planned, and everything that happens to you is part of your own personal plan. That is not apparent to you while embodied, although some of you are rather good at getting an intuitive sense of what your future path entails. The thing to be aware of is that you are each on the path home to Reality: the state in which Love fills you with the infinite power and joy in which you were created, and of which you are fully and eternally aware. You are all destined for eternal joy in the eternal Presence of God, the loving Source of all creation, and your homeward paths have been uniquely and individually tailored for you to encounter precisely the experiences and lessons that you chose, before you incarnated, to undergo. Nothing that happens to you is by chance, although you may well feel that some of your experiences just had to be accidental because you cannot imagine any other cause. However, once you accept that nothing that happens to you is a chance occurrence it becomes much easier for you to see and learn the lessons with which your lives present you. And when this happens you will find life flows more easily for you with far less stress. This is because you have effectively made the choice to accept the situations that arise, instead of fighting against them and blaming others – or God! – for any misfortunes that befall you. Wherever it is that you are experiencing life on planet Earth, it is where you chose to be for the lessons that you elected to experience and learn. Where you were born, to whom, and where you live are no more chance occurrences than any other events that “happen” to you. It is impossible for you to understand these reasons while you remain on Earth as humans, and utterly impossible for you to make sense of another’s lifepath. You have no need to. If you meet or become aware of someone whom you could help, then do so; it will be one of your lessons. But you do not need to go seeking out people to help. You may certainly choose to do so, but everyone you chose to meet on your human lifepath – for the lessons that you could learn together or teach each other – will appear at exactly the right moment. Your lifepaths will always unfold just as planned; the fact that they may displease or delight you does not alter that fact. Pay attention to each moment by living in the now as consistently as you can. Doing that is the most effective way to follow your paths and learn your lessons with the minimum of discomfort. When you created your lifepaths you built into them all kinds of allowances to enable you to provide for the myriad choices within each and every situation that comes up. Think of all the choices you make, moment by moment, choices you could not foresee, and from which you had to therefore provide alternative routes forward. To proceed most efficaciously, trust the path that opens before you and proceed lovingly and compassionately along it. It is the most direct way Home. This email was sent to abdul.shamsuddin@att.net. To ensure that you continue receiving our emails, please add us to your address book or safe list. View this email on the web here. You can also forward to a friend. Subscribe. We are watching over you with love and compassion, and we do see the doubts, worries, fears, and suffering that so many of you are undergoing in these final moments of the old ways in which conflict and betrayal are rife. The divine field of Love is constantly holding you firmly and gently, as you make your way along your homeward paths, to ensure that any stumbles or falls cause you the minimum of suffering. It is a hard slog, and your patience and fortitude are exemplary as you continue to move forwards with unfailing determination. Some of you have been tempted to throw in the towel, to give up, but not one of you has done so, even though it might seem that some of you have, for you are far stronger than you are aware of, and we can assure you that not one of you will fail to complete the journey. You are coming home to Reality, and arrival at that divine Destination is inevitable. Much of what is good that is occurring across the world is because you Light-bearers and wayshowers are intending that it happen. And as it happens, more and more are uplifted and inspired by what they see and hear and they then add their intent to the collective, as you have been doing for so long, to help direct it into new loving attitudes that will strengthen the foundations on which these monumental changes are built and ensure that there is no back-sliding. Humanity has collectively made the choice to awaken and that decision is known and honored throughout the spiritual realms, and a choral symphony of incredible beauty is playing now throughout creation as a precursory celebration in advance of the grand celebrations which will greet you as you awaken. And as the Light on Earth continues to intensify due to the strengthening collective intent that It do so, the few last remaining members of old-established organizations that have for so long cherished the dark and the apparent power it gave them will shortly have to choose either to embrace the Light, as most will, or they will move on to environments in which they can continue to play their unhappy games for as long as they choose to do so. But even they will eventually turn around and embrace the Light, because it is impossible to deny one’s nature permanently, and all that exist are by their very nature beings of Light. There is only Light, and darkness is merely illusory – a nothingness that is unreal but seems real when one closes one’s eye to the Light. But all will open their eyes because the Light shining upon them is far too bright to resist. « AS YOU AWAKEN, THE FOG WILL CLEAR FROM YOUR MINDS. WHAT WAS THE PURPOSE OF THIS ILLUSION? When we, the angels, created this Universe, we decided to make it a highly sophisticated and very complex GAME OF LIFE. Daar is Frankie WEER ! ( Helemaal naar beneden scrollen). @TLAVagabond haha actually Frankie. You know from Relax don't do it ? Zoals ik vandaag eigenlijk al een beetje aangaf ( Thank God’s it’s Friday ) komt het uiteindelijk allemaal wel goed. Het probleem is al weer opgelost en de UNINVITED GUEST is weer lekker op zijn laptopje aan het rammelen. Enfin ik heb vandaag wel iets heel moois meegemaakt en laat ik dit verhaal met u delen. Ik stond dus op zette een bakkie koffie, opende mijn laptop, maakte verbinding met het internet en kreeg de melding dat mijn site gehacked was. Dus ik een mail sturen naar de helpdesk waar de site gehosted word en zij hebben mij prima verder geholpen. Ik heb toen de bus gepakt, niet mijn busje want die staat eventjes stil met wat pech maar de stadsbus. Er moet zo af en toe ook boodschappen gedaan worden want alleen maar van enkel LICHT leven gaat nog niet zo goed. Ik geef eerlijk toe. Ik heb weinig nodig maar helemaal op lOUTER LICHT wil echt nog niet. Toen ik uit de bus stapte op weg naar de supermarkt zag ik in een tijdsbestek van 5 minuten 3 wagens met in het kenteken 666 en de uitleg kunt u HIER vinden en ik heb zelf een tijdje geleden er iets over geschreven en dat kunt u HIER vinden. Enfin. Volgens mij gaan we langzaam naar het einde van mijn boek en dat betekent dat de Matrix wordt opgeheven. Nu niet schrikken want u kunt gewoon dat blijven doen wat u nu ook doet alleen dan een beetje anders. Ik ga er hier nu niet verder op in maar bereid u maar langzaam voor op het nodige vuurwerk. Misschien nog een kleine toelichting op dat wat ik gedaan heb. Iedere lichtwerker en eigenlijk u die het leest ook, heeft min of meer EEN TAAK. Velen weten dit NIET MEER maar hier gaat wat verandering in komen. Ook ik heb een taak en die is niet minder of meer dan die van u alleen bestaat DEZE TAAK maar uit 3 woorden……Just do it. En omdat ik geen HANDLEIDING of een gebruiksaanwijzing erbij heb gekregen kan het af en toe aardig tekeer gaan. 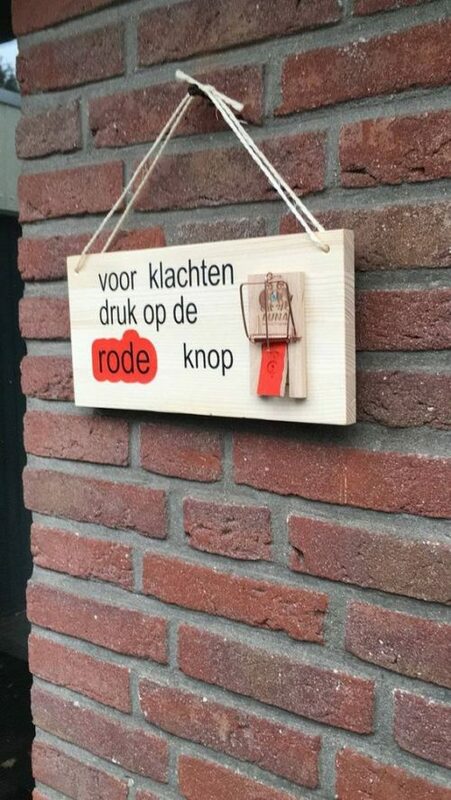 Maar eerlijk is eerlijk. Als u EEN BAAN zou krijgen met een arbeidsovereenkomst waar alleen de woorden Just do it ! op zouden staan wat zou u dan doen ? Toch nog een mooi einde van deze dag zo net voor het weekend…..
…So my BROTHER AND SISTERS You know what’s funny. 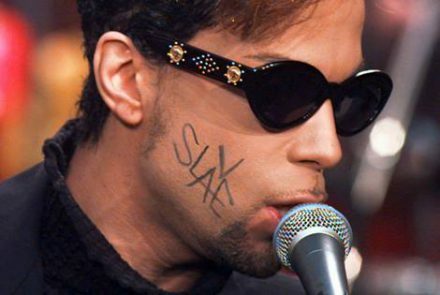 Prince made a song years ago. You just have to listen. Unbelievable ! O.. HERE is the link. There you see a picture. Below this picture you can read the words A GOVERNMENT OF THE PEOPLE BY THE PEOPLE FOR THE PEOPLE. Click on “Government” and listen to this song. I believe it’s the same don’t you think ? O by the way. HERE is an explanation about the guy on the picture. ( Although if we suffer from an unhealthy EGO it will think Natural Laws are a form of control. When in truth they are hear to keep the natural balance of the universe in tact). So briefly I think it’s time to get your DANCING SHOES and start searching for a good dancing school ( Dirty Dancing – Time of my Life (FINAL DANCE) – High Quality HD ) or you do it by yourself because as I mentioned before THE HIGHWAY is not a very good idea. “The tea leaves of life can be found at the bottom of any cup, but only those who drink DEEP ENOUGH to empty the glass will find the wisdom beneath the surface.” This statement is a reference to the idea that everything in life is a mystery waiting to be explored and solved. That’s all folks….Just some final words….Don,t focus on the money….You can,t serve TWO MASTERS❤ As Prince song you are either this or that…GET SPIRITUAL ! How To Develop Your Psychic Communication Ability by Using Resonance – Richard Lee McKim Jr.
How To Develop Your Psychic Communication Ability by Using Resonance. This is a step by step explanation of how Psychic Resonant Communication Works and How You can easily develop the ability Yourself. With this special ability, you can communicate with anything in the Universe from Animals, Plants, Insects, People who are Living or Dead, and any Situation or Questions that you may have. …..RAPID MULTI-DIMENSIONAL Channeling This form of communicating on a higher frequency is here. It is not that information was truly lost to us, IT WAS ALL HERE and part of us but we have increased our basic brain patterns to a higher sustenance. THE LIGHT were the cowboys on horseback finding the leaders, the cows, and herding them into the waiting corral. No matter what they tried, they were eventually corralled and THE GATE WAS CLOSED. Ergo, the title….Click on ” the Gate was closed & scroll down.